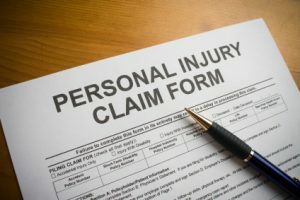 ﻿ Personal Injury Lawyer | Attorney | Waukesha Milwaukee Wisconsin | Duffey & Associates, S.C.
Our team has over fifteen years advocating for the rights of accident victims, and can assist you if you have been injured in an automobile or motorcycle accident, a slip and fall accident or are the victim of a dog bite. We are also experienced in representing clients in wrongful death cases. We work diligently so that your rights are protected and you receive fair compensation for your injuries. •	DO be aware that any statement you inadvertently make could be used against you so discuss your case only with an experienced attorney. •	DO receive all necessary health care to properly treat the injuries. • DO tell your health care provider about the injuries caused by the accident. •	DO follow your health care providers’ instructions. •	DO keep a journal of how the injury has affected you. •	DO have someone photograph the accident site. •	DO have someone photograph you so there is a record of your injuries. •	DO keep a record of lost time from work.